This is WOW News 247: APC At War As Bola Tinubu Demands Oyegun's Resignation As APC Chairman! 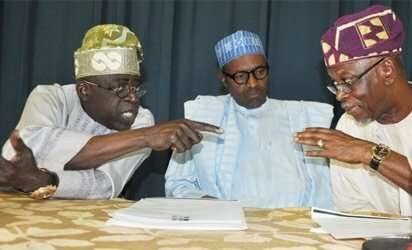 APC At War As Bola Tinubu Demands Oyegun's Resignation As APC Chairman! In a stinking communiqué from his media office, Tinubu accused Oyegun of sabotaging the will of democracy in Ondo State by overriding the decision of the appeal panel that asked for a fresh governorship primary following investigations that showed that the delegates’ list used had been tampered with.